Organic - Gluten Free- Preservative free - Palm oil free- GMO free - Hydrogenated fat free- Lactose free - Egg free. Create this quality dessert it in minutes. Just follow the simple instructions, bake and add your favourite topping or filling, or just simply dust with icing sugar as the Italians do. 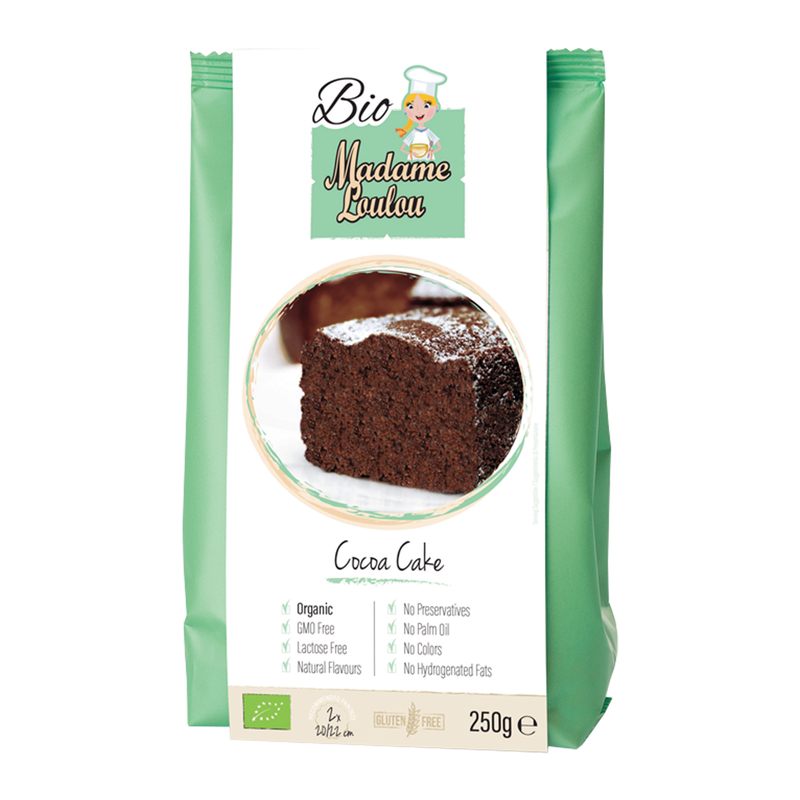 Organic rice flour, organic cane sugar, organic cocoa (9,2%), organic corn starch, acidity regulator E330 E336, thickeners E402 E405, salt, raising agent E500i. May contain traces of milk, egg, soybeans and nuts.